What an interesting look at the criminal mind. The narration was excellent! I think this was big part of why this story was interesting. 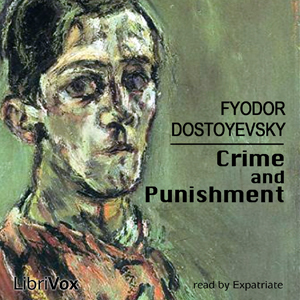 Crime and Punishment is an incredible read. Certainly a classic, it is a thought-provoking discourse on human nature and explores human guilt, the nature and possibility of redemption. Unlike most of the television narratives and much of modern thought, it acknowledges that the actions of people may not be formed of simple motives. Rather, Dostoyevsky's characters are complicated and do not fully understand themselves nor their motives. I enjoyed the narration as well, though it was somewhat drowsy at times. A geat novel, describes pstchological state of man in a precise detail, although there were some irreverent events mentioned which made tge novel long. Excellent narration! especially at late parts. Book was decent but the reader was rather bland. Most of the time he ended every sentence on a down note making everything thing sound doubtful or questioning.